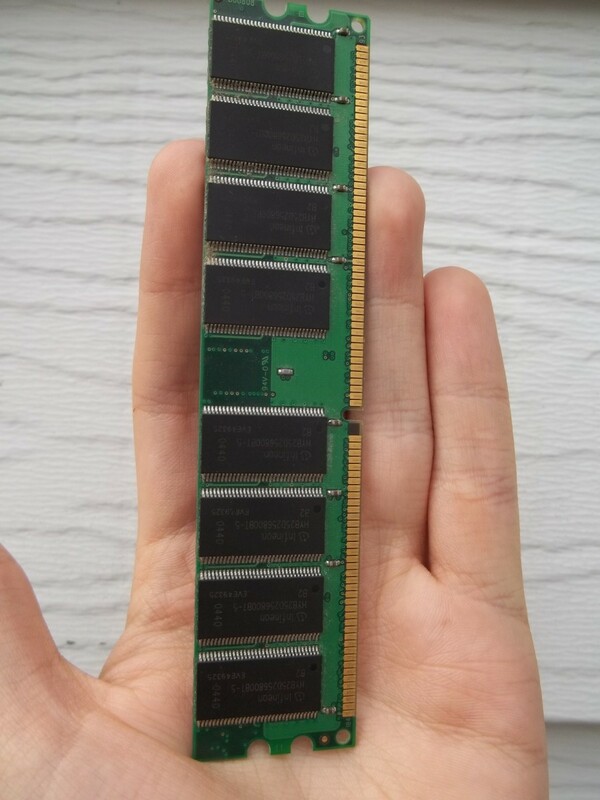 What does a RAM stick look like? 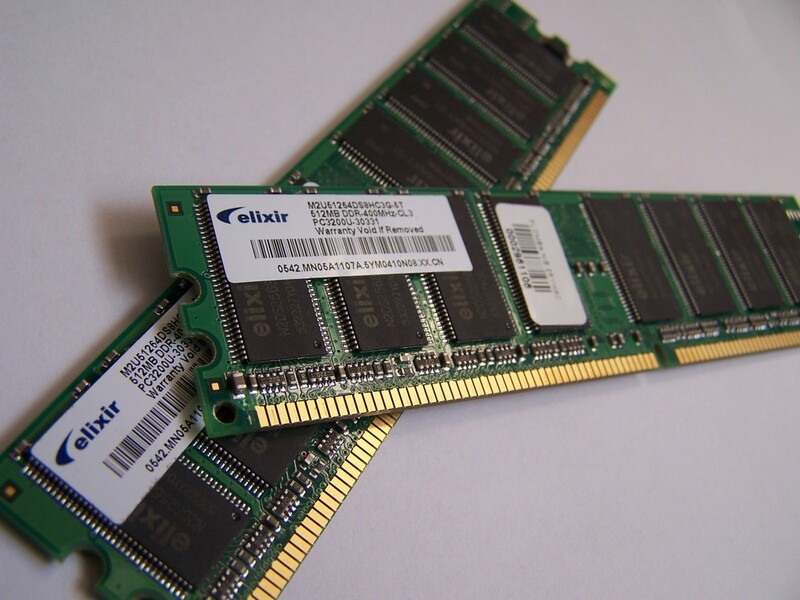 Random Access Memory, or RAM, is a way for your computer to store temporary data, rather than in a cache or permanent storage. 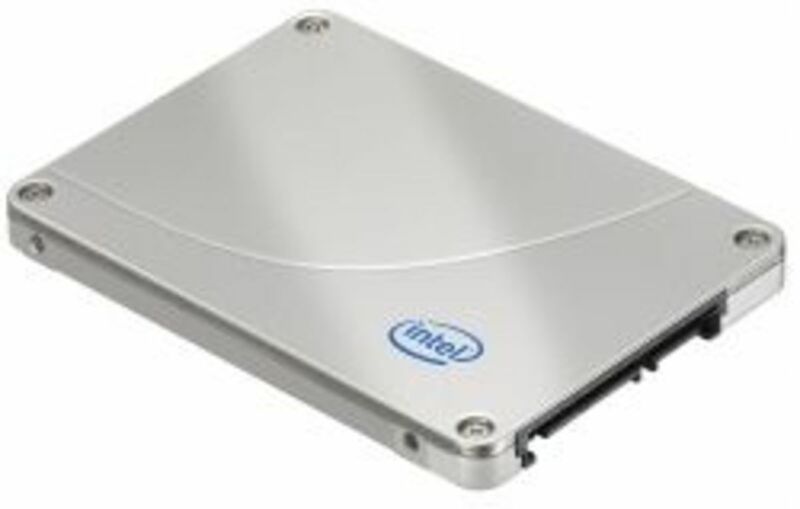 Storage, often wrongly referred to as memory, is permanent data stored on a hard drive or solid state drive. A CPU cache is a small amount of often-needed memory that is stored on a CPU chip. Both the RAM and CPU cache are temporary data stores that are cleared when your computer is turned off. One way to think of the difference between these different types of storage is to imagine them as paper documents. The cache is a list of names or numbers you constantly refer to and keep close at hand. A folder full of papers you may need for your current task is similar to computer memory or RAM. The file cabinet full of folders for all your projects is like the storage on your hard drive. Memory problems are less common than other computer problems because memory sticks have no moving parts and thus fewer points of failure. However, due to this many RAM problems go undiagnosed. 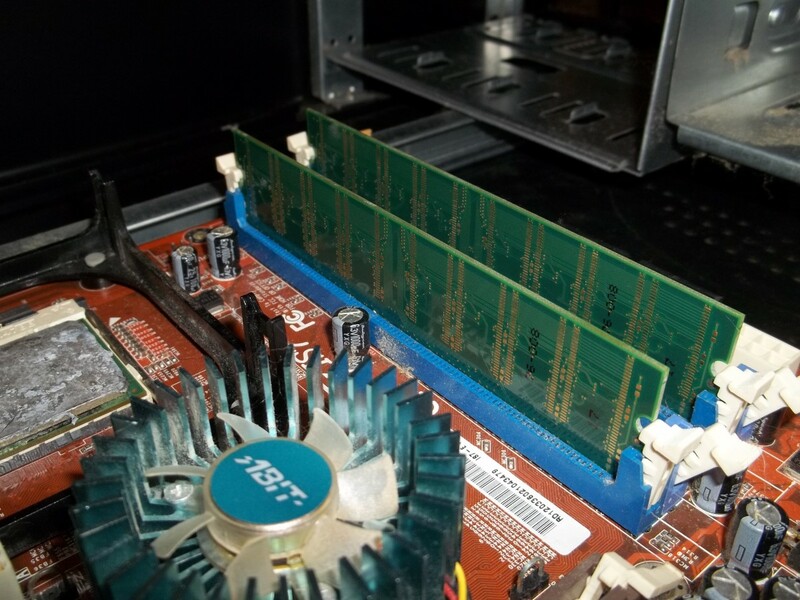 Memory usually will last longer than other computer components so manufacturers offer longer warranties for it than other parts. If you buy brand name memory it will likely have a lifetime warranty. When you first turn on your computer it runs fine, but as you go about your business you notice that its performance diminishes. By lunch time, websites take minutes to load and local programs run at a snail's pace. This type of gradual deterioration of PC performance, especially with memory-intensive programs, may be caused by a RAM problem. Your computer randomly restarts while you are in the middle of something or freeze sporadically. It may also reboot almost immediately upon opening the desktop. This could be a sign of faulty RAM. A blue screen with white text flashes before restarting. Blue-screen errors are annoying because you don't even have a chance to read the error message. Bad RAM is one thing that cause them. Files—particularly ones you frequently access and save—seem to be inexplicably corrupted. RAM issues can lead to this problem, which can worsen over time. The file structure of your hard drive may slowly degenerate and you will no longer be able to boot your machine. Your attempts to install a new program repeatedly fail for unknown reasons. You try to reinstall the operating system, but keep getting odd error messages. There are certainly a variety of problems that could cause the issues above, but faulty RAM is an often-overlooked root cause of inexplicable issues. If you have one or a combination of the above problems you are likely facing a memory issue. 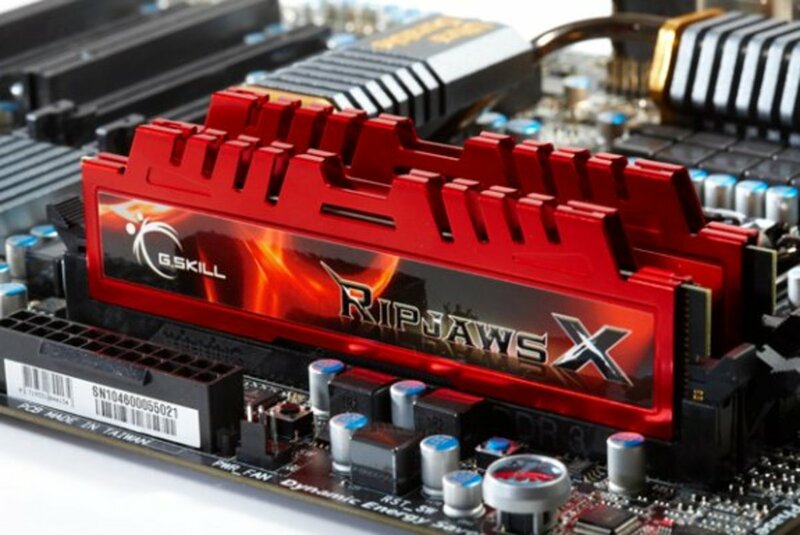 Power surges can damage most computer components, including RAM. You should plug your computer and other expensive electronics into a surge protector. Make sure you know the difference between a surge protector and a power strip. Before you handle any parts in your computer, make sure you ground yourself by touching a piece of grounded metal to discharge static electricity. Electrostatic discharge can damage your computer. Excessive heat can cause RAM and other parts to wear out over time. Individual components can overheat, or heat from one component can cause damage to adjacent parts. 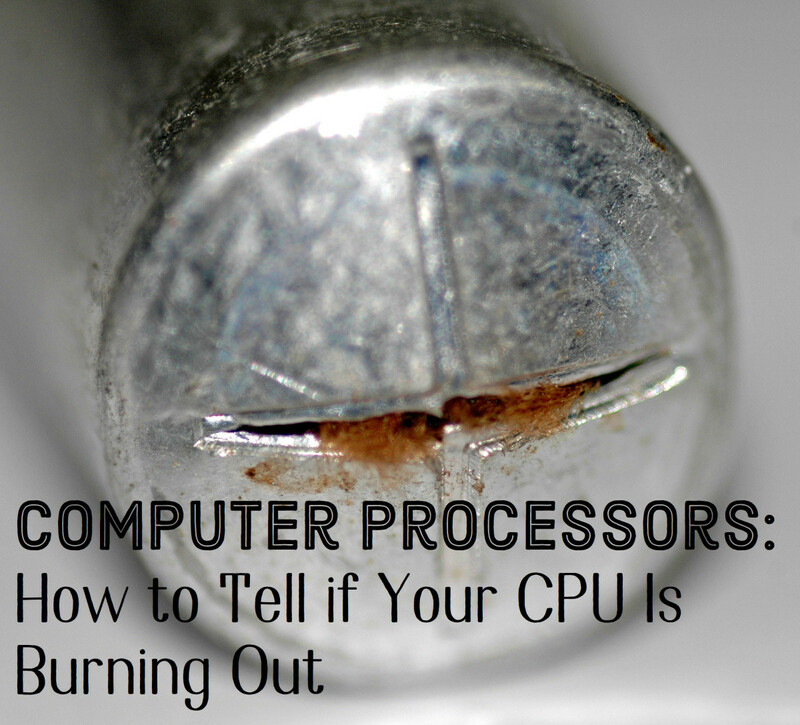 If you have overclocked any part of your computer incorrectly, it may cause damage in the form of excess heat. Your memory module may have some fault that passed through quality control and worsened over time. This is the most likely cause behind a damaged RAM. It is also possible that the memory module is fine, but one or more memory slots on your motherboard are defective, hindering the RAM's performance. 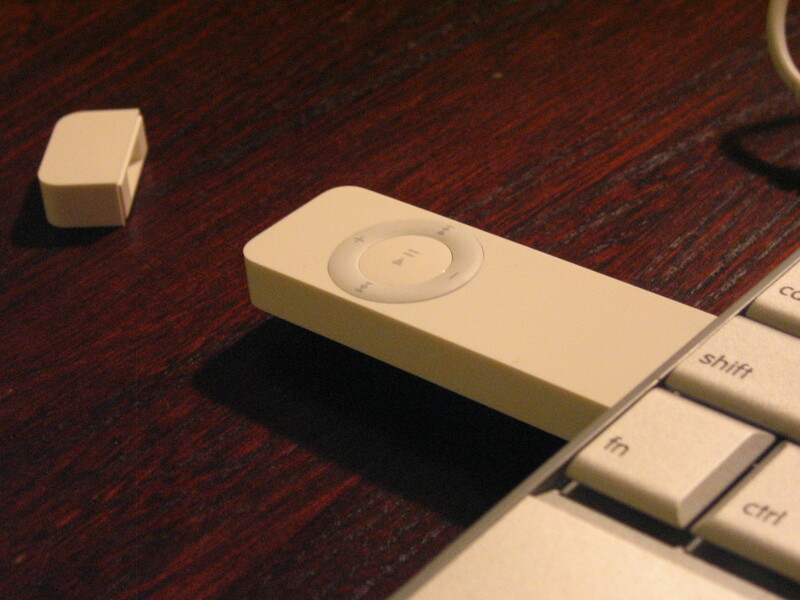 The defect may even be so bad that it damages the memory stick. If the symptoms started after you recently added more memory, the new module could be faulty. This seems obvious, but any time a problem begins after making a change, first check to see if the change caused the problem. Your computer may produce multiple beeps or a continuous beep when you turn it on. These beeps can indicate many different problems, including being a symptom of bad RAM. Beep codes vary depending on the manufacturer of your BIOS. You can look up the beep codes for your specific computer to figure out its specific problem. If you are not comfortable fixing your computer yourself, I recommend taking your computer to a local repair store rather than a big retail store. Big stores are in the business of selling additional parts, not fixing problems. If you are an advanced user, there are diagnostic programs that can help you figure out if you have a memory problem. Your computer may have one pre-installed by the manufacturer or you can download a third-party program. The Windows Memory Diagnostic by Microsoft is also good if you suspect memory problems on a Windows PC. If the above programs indicate your memory sticks are functioning, but you still suspect a RAM problem or if you need to find which memory module is the problem, you can try removing the modules and placing them in different slots. What installed memory modules look like. Memory modules, pictured in the image above, are small circuit boards that lay perpendicular to the motherboard. Note that I removed many of the other components to make the memory more visible. If your computer has more than one module you should remove all of them except one and then run the diagnostic tests above or perform the task that normally causes the problem. To remove a RAM module you need to press the tiny levers on each end to release it. 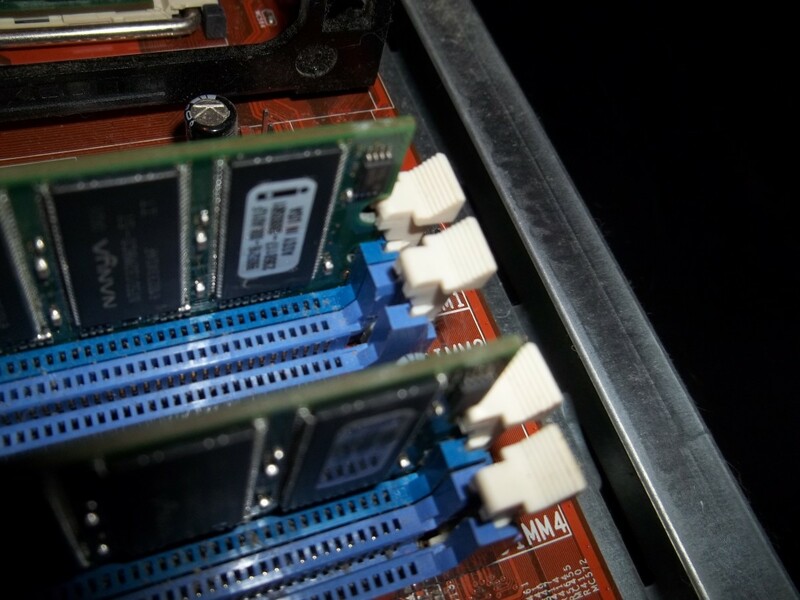 Test each of your memory modules one at a time to find which ones are bad. When you find the sticks that are bad you can order replacements. It is possible all the memory modules are damaged if your computer experienced a serious power surge. If all the memory modules appear bad, then the problem is likely with the memory slot itself. Try testing each memory module in each of the memory slots to find if one of the slots is faulty. 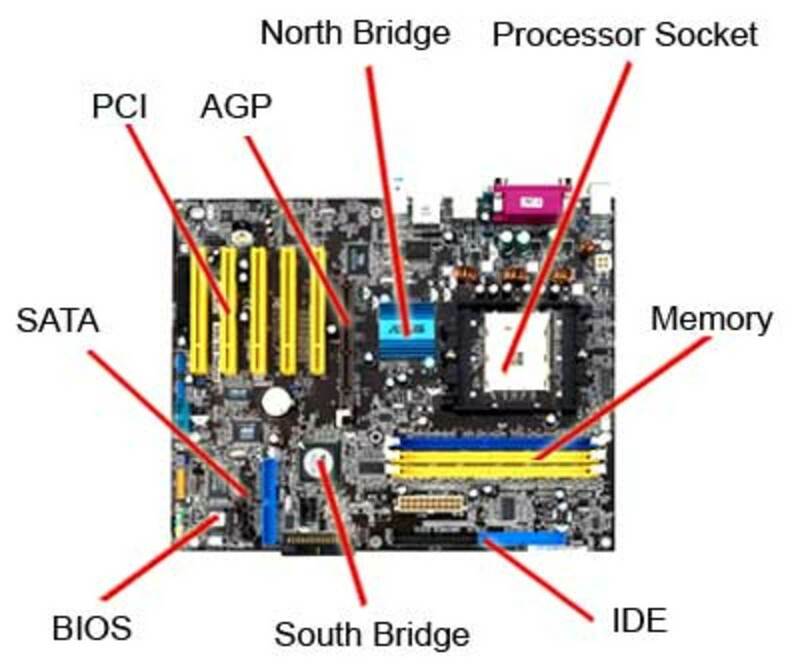 To fix a faulty slot you would need to replace your motherboard. When replacing a module, make sure the indention on the bottom is lined up correctly with the slot and then press it in until you hear the levers snap. Note that some levers do not make a snapping sound. The levers for the memory slot are white in this example. Many of the symptoms listed above can actually be caused by a hard drive problem. You can run a utility called CHKDSK by pressing the Windows button and R at the same time, typing CHKDSK into the dialog box, and pressing enter. Alternatively, you can click on Computer, right-click the drive you intend to scan, click Properties, then the Tools tab, and click Check now. Note you will need to restart your computer. Also, be aware this process may take an extended amount of time to finish running. If you hear your hard drive making lots of noise during normal operation, it may be the cause of your problems. Defragmenting your drive every few months is a good idea as well. If the performance problems occur during graphic-intensive programs such as games or rendering, your graphics driver could be outdated. Be sure to always keep your drivers up to date. Random reboots can be cause by a failing power supply. Dirt and dust can also cause issues that look like memory problems. It is a good idea to clean dust out of your computer at least once a year, more often if you have furry pets. Your computer can also have a virus. Note that many people automatically assume any problem with their computer is caused by a virus and many large retail repair stores frequently misdiagnose hardware problems as viruses. Make sure you have a good anti-virus program and run scans on a regular basis. I became interested in computers at a young age and took formal computer repair classes. I repair computers on a regular basis for family, friends and friends of friends. I have also worked in technical support and repair roles for various companies. After running Windows Memory Diagnostic by Microsoft, it is restarted , and open but so many words written in the black page like a software installed -that is corrupted etc, but no where written about RAM . Then how can I know my RAM problemor not. I've installe war thunder oin my pc in windows 7 it worked perfectly, now windows 10 can't run the game, it says not enough memory. my pc has 2 GB of usable RAM war thunder needs 1.5 , what is the problem here ? I closed a bunch of unnecessary apps, still no go. What would you suggest ? Hey, I’ve been having pc problems for months now. At first, it was a graphics card, but now, after getting a new GPU, I have this blank grey screen, that I think is ram related, because my gpu is new, and that’s what ur article seems to explan. I need help with this, because I don’t want it to damage my pc in the future. Help please! I have a ryzen 5 1600, gigabyte gym 1060 G1 gaming, gigabyte ab350 gaming 3 motherboard, and 8gb Corsair vengeance ddr4 ram at 3000mhz. My laptop's display sometime randomly run when i opening a program.I don't know what happen with my computer.Recently i updated my window .Somedays I use my pc perfectly .But few days later it occur in my pc.What i should do...Plz help.. Helpful tips for Computer Repair. Thanks alot! After the memory test with "chk..." ,my computer refuse to boot,apparently windows is damaged.What can i do please ? Change hard drive ? What a wonderful post! I loved it. I learned a lot. From now on I will not just rely on my erasers to clean the memory when computer is not starting. Surely, i will use all of your tips. Some of the comments and issues listed could be fixed by simply accessing the BIOS/UEFI on bootup and setting the correct vDIMM voltage so the RAM has the power it requires, especially for the out of specification gaming RAM. I have a question.My PC has had it's other RAM slot corrupted.How long does it last for my PC to get it's normal performance back? The symptoms you mentioned were very similar to the ones I faced. I checked my ram slots and found that one ram slot is not working. Since I had two rams and both were working in the other slot, I am forced to use only one memory module. Is there any way to fix the faulty slot other than replacing the entire motherboard? Hi sir,i have a dell 620s pc,it had some issues so i ran it by a local repair shop.now i suspect they have replaced my graphics card.is there anyway i can find out the truth? My Asus notebook freezes on the desktop after it boots up. Sometimes it says battery not detected. I can do nothing on this computer. tonight I found that after I left it on for almost an hour I can finally use it. Please help. This is helpful to me Little Tanks . I've never seen more misleading publication, written by somebody who has never completed even starting base of A+ in computers! Hey, Administrators, where are you? the same things happened to my PC. i added a new RAM in the second plot. At first, it worked smoothly but after a week it my PC showed the above symptoms. From no.1 to no.5 everything happened the same. I took my PC to a local shop but without the new RAM. They repaired it in few hours. thenafter I inserted the new RAM again and it showed the same symptoms. So, i immediately removed it. Now, can't I use that RAM nomore? Is it totally damaged? Need help!! Please!! My laptop is not working properly. Like if i want to search somthing and if I press T something else start running and not performing the key function. It is happening with most of the keys (T,P,R,V) and other than these, all works perfectly. Pls help me how can I solve this problem. I find this blog useful for everyone. So as a tech guy also I subscribe to your blog. This is a good blog. Thank you for this helpful article. My question is that I have Asus Notebook X550C. I Removed its battery for one month and when I put it on and power on with charging It turned on. But when I enter my window password its display automatically shutted off and RAM was got heated. I have virus in my notebook and all drives are full memory including C drive. Please help me with this. i stick one ram then i flash a bios the stick back second ram and it works for my fine. is that a problem of RAM? 1) are errors repairable ? 2) the cache is on, how can I disable this ? 3 how can I update the bios if I cant run any OS ? 4) the bios does not have usb boot option. Machine info hp desktop, 64 x.
hdd one main nfts primary partition, formated. 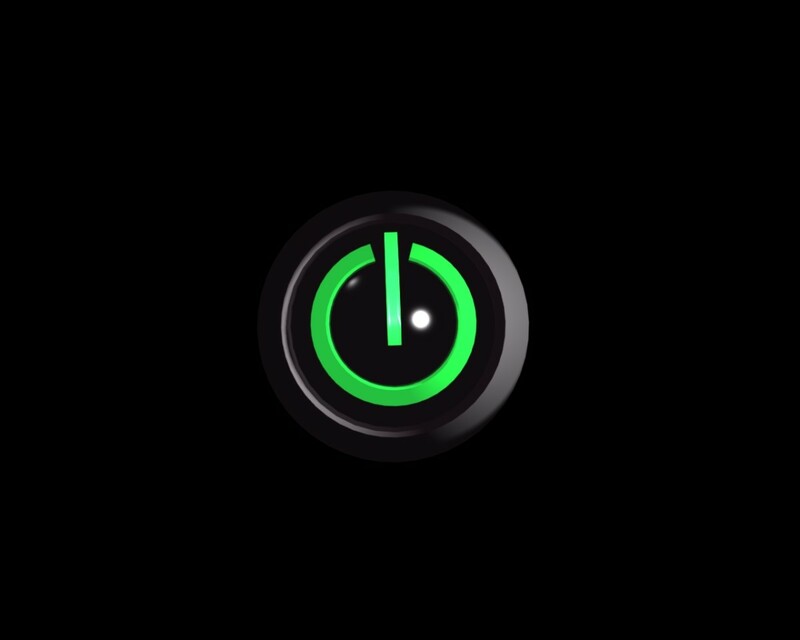 When I try to switch on my pc and press on the power button, the monitor does not give any signal of switching on. It just black out and doesnt display anything at all. Could u please help me how to fix this problem. I've had problems with a certain thing inluding the app Steam, I play CS:GO Constantly and It always gives me vpk file errors, I've tried everything the forum has said for me to do and nothing works longer than a week, Ive read the article and I have several problems leading straight to a ram problem, Ive had my computer since 2012 and it has worked well but It has forced me to factory reset it a year or so ago and Im thinking that may be the source of my problem. It's as if I can't keep the files from corrupting and I have no idea what to do at this point. I just want it to be fixed so I can play my game with no worries anymore. If anyone has any suggestions that could lead to this problem I would love to hear them. In kind regards, Syd. Hi, my laptop gets glitches in video and sometimes in videogames. It happens randomly after an hour or after a few hour of using it and it gets worst. If I restart it goes away. I have two 8Gbyte ram memories. Windows Memory Test said one of my memory is bad. I took out one, same problem, switched it with the other same problem, put the second in the other slot, same problem, put the first one back in the same slot as the second and still same problem. Can it be that, both of my memories or both of my memory slots are faulty? 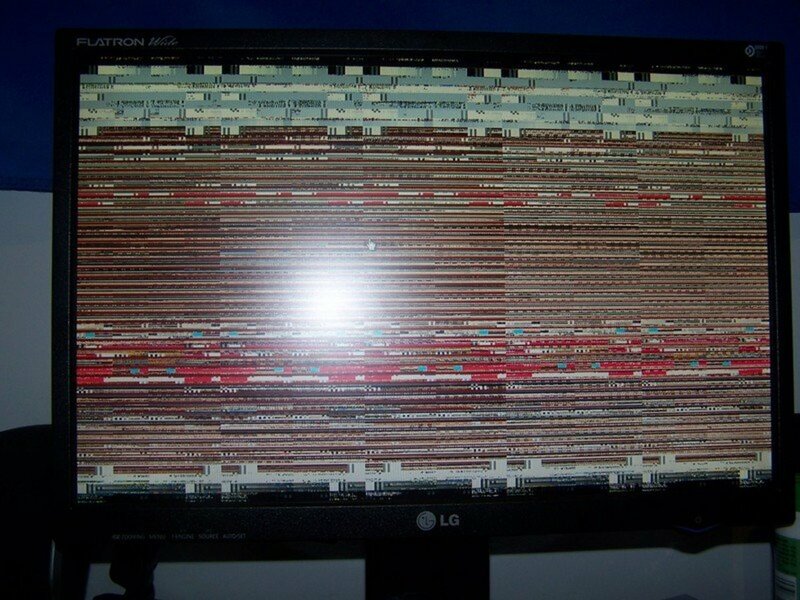 I am not able to detect what is the problem with my computer. Earlier it kept giving me BSOD and the computer was getting slow and kept hanging when i played any game. So i changed my HDD and thought it would work well now. It has gotten better but it still keeps hanging every now and then and sometimes gives me BSOD. THe mouse cursor works but i am not able to refresh (F5) the screen. It keeps on showing the circle icon. I can access My computer but i cannot play anything. I am able to work the computer for 1 -2 hours or so normally but after that it keeps giving me problems. My config is Dell XPS L502x, i7 2nd gen. 6 GB RAM. 1 TB 7200 RPM HDD. NVIDIA 2 gb Graphic card GT540m. Does putting the desktop computer to sleep instead of shutdown degrade the RAM? My computer sleeps after 30 minutes, I have allowed hybrid sleep, hibernates after 60 minutes. My cpu gives out 2 beeps after start up. The RAMs seems to be loose. I took them out and replace. But still the same. i have a problem in my new pc it shows me blue screen it shows memory management problem i run mtest86 to check my ram but it found no errors...should i replace my ram i m running windows 8 and i reinstall window also but again i get this blue screen problem..please help me to solve this problem.. I have a Mac and recently it's has been very slow and often freezes so I have to force quite applications. It also doesn't make the chime it usually makes when I turn it on. It now has completely frozen and even when I restart it it just loads up with the spinning wheel. I did a diagnostic start up and it said there was an error in the memory module. How do I fix this and how did it occur? Thank! surely this great article will help us lot.but i think it is practical thing rather then theoretical. Thank you. This gives me some areas to check out. I have owned computers for years and I have all those problems at one time or another. Many were attributed to other things, but the main cause seemed to be the RAM. I will definitely use these tips the next time I have an issue with my RAM. I have a Dell D630 which started displaying pink lines across the screen as it was in use, then started to turn off by itself, then it wouldn't boot up at all I suspected a bad hard drive to be the reason, replaced the 160 gb HDD with a larger capacity (1TB HDD) one. Now I press the On button but it will not boot up, I can hear the fan spinning and the HDD attempting to start but no booting up at all, I should mention I noticed the new HDD does not have a 4 pin block in next to the SATA data and power connectors. any advice will be very much appreciated. Sir .some time my computer make continue beep when i start my com....but some time my com work correctly.......is there ram's fault. I have a problem with my desktop.. when i turn on i heard 3 beeps.. Excellent advice about RAM, which can cause all sorts of problems. Adding extra is also a great way to speed up your PC, but it's important to get the compatible variety. So far, no problems with mine. :-) Touch wood. Sorry my hp system usually display blue light nd restarts immediately but now when I switch it on the caplock would blink several times and the screen wouldn't display anything!...what can u diagnose from this please? Nice Hub, when ruling other issues out with PC problems, or by process of elimination, RAM is the last thing I look at. Maybe it's something I should consider a little more. Thanks for giving me ideas how to fix computer. my pc froze on me last night the screen became a light blue.Now I can't get in my pc.What would cause this problem.Was reading a lot of post and I removed one ram and the screen black is it a bad ram or worse. Hi . i have a amd pc & i know it have a overheating prob. i game on it so u can understand my prob. my question here is would a new fan replacement will solve the issue? if yes then what kind of fan should i buy ? i have a pair of 1 gb ram, if i apply one of them my system works but if i apply both of them my system starts restarting after using it 5 to 10 minutes. please give me some suggestions to solve this problem . i m having problem whenever i extract zip file (1 gb or more) it gives CRC failed error at some point during extraction and sometimes i get BSOD while surfing and playing games i tried running memtest but i could not reach any conclusion about this problem bcz whenever i tried memtest on combined ram it fails and when i tried memtest on individual ram.,No error found and tried on every slot as well so what should i do in this situation?? ?Any suggestion ?? Ok let me get your advice on this. I had a computer at work I was using to program Plc. My boss's son got on the computer's and invited a rather nasty virus in which crashed all the computers in the office in one day. Since then the teck came in and cleaned house. My boss asked if I could build a computer to use for myself rather then buying one. Knowing a "little" bit and being and idiot I said I would try. I build the computer and pulled what data I could off the old hard drive. "It had files on it worth far more then ten computers" it worked fine for 2 month then the "blue screen of death" which was how the old computers started dying. So my first guess was" virus" it must have been brought over with the data. No problem I have made paper copy of the programs by now. So while it is painful I could retypt the programs back in. I then reformate hard drive and reinstall os "windows 7 home " . It then works for 2 weeks then bsod. Ok I googled the problem and read that in some cases it can live through a format and still be on the hard drive. Ok so I pull hard drive out and replace it with a brand new one. Again 2 weeks and bsod. So more googling .I call motherboard manufacturer they say to update bios I try that still 2 weeks in bsod. Ok by this time I am mad. time to pull out the big guns . I Pull out the credit card. New mother board new hard drive new power supply.Install all this and again 2 weeks later bsod. I didn't get new ram I used the old one from the computer that I just build. Not from the computer that had the virus . I talked to a guy he says" you probably just had bad ram and it just looked like a virus was transferred " so ok I put new ram in it and again bsod 2 weeks later. I ask him again. He said well some times when you have had bad ram it can corrupt the virtual ram and just replacing the ram won't do it. You need to reset the virtual ram as well . That is we're I am now. O I also upgraded to windows 7 professional durring all this. What do you think? Comp. starts, but not showing anything on screen. Give me some extension plz. @adam You do not need to clean your computer once every week. It's a good habit to take care of your system so nicely. Once a couple of weeks shall do just fine. About the BSOD (Blue Screen Of Death), I suspect it is just a RAM slot issue. I recommend you to inspect recently installed/uninstalled software that may concern the system files. You mentioned that there was some kind of conflict with the registry, hence I recommended you so. Please tell me which operating system you have? Windows 7 or Windows 8 or Windows 8.1, and the operating system version please. Hi there I recently encountered a problem. My computer started freezing them blue screened I restarted the computer and it wouldn't get to windows. I thought it may be a ram problem. I took the ram out of the 2nd slot and it booted no blue screen I also cleaned the registry as it had conflicts. So I assumed it was the 2nd slot was bad. All seemed well and then the next day it started freezing again. Any suggestions. I have 2x4gb ddr3 ram. Oc. 3.8ghz athlon ii x4 with uprated cooling. Cleaned on a regular basis I mean weekly I haven't checked the ram slot for dust yet though. @carla... a little bit of cleaning took care of the problem, I got to say I never suspected that... ;) By the way, I would be more than happy if that link I gave helps you in any way to add to your knowledge of computers. @nicomp... It is safe. All you need to get the thing working is a reboot. But, be clear about the knowledge of virtual memory. Peace. @Carla. I am sorry I could not come online for three days. I was not feeling well. I hope the issue is resolved by now. But, just in case it isn't, here is a link to help you out of it. what can be cause of it? The only advice I have is to make sure you put everything back in properly. I have a problem I remove my ram then I returned it back then whe I turned on my laptop my computer screen went to black..
Carla, you can try to increase the Virtual Memory of your system. It sure does help. yes sir entreri28 but still the % of ram still high [cpu meter].. maybe you're right.. i guess i will need to buy new one.. This is really a very helpful article. I did not knew this much. Dust does effects the performance and hardware, specially RAM. Sometimes the system seems to be dropping the processing speed, but cleaning RAM can just solve the problem. Try to shut down any programs you are not using. Programs running in the background still take up RAM. It would probably be best to buy more RAM. Even if the game recommends 1GB it would probably run slow if that is all that is available. Make sure you run your anti-malware scans to make sure you do not have programs running you do not know about.